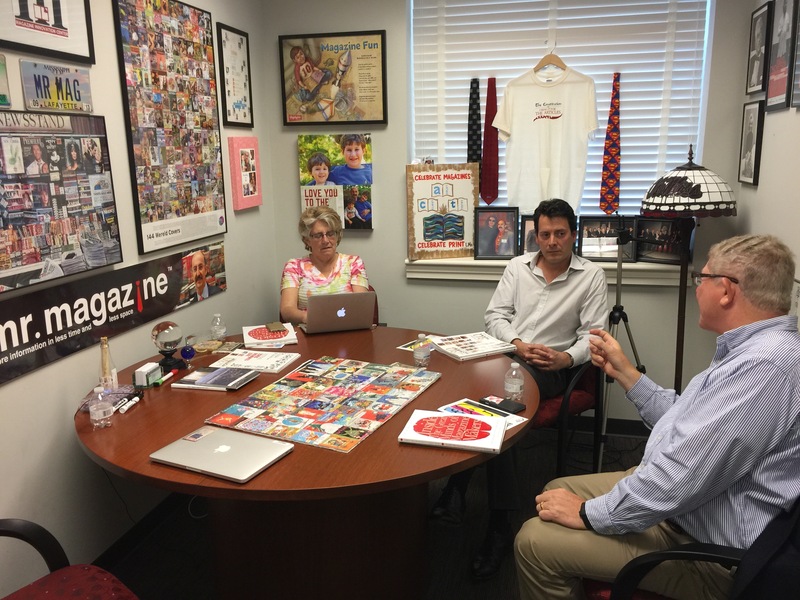 Linda Ruth reporting with David Atkins and Helmut Graf at the Magazine Innovation Center at Ole Miss. It’s Day 1 of Dr. Samir Husni’s ACT 7, and people are gathering from around the world to hear what is new in magazine publishing. 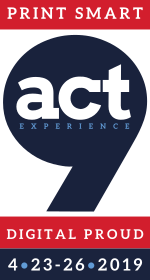 I spent an hour this morning with Dr. Husni and two attendees who’d flown in for the event: from Germany, Helmut Graf, CEO of VNR for German Business, Inc., and from England, David Atkins, owner, Newsstand.co U.K.
It’s Wednesday, the first morning of ACT 7, the Magazine Innovation Center’s annual opportunity for magazine supply channel partners to come together and learn and share and create. 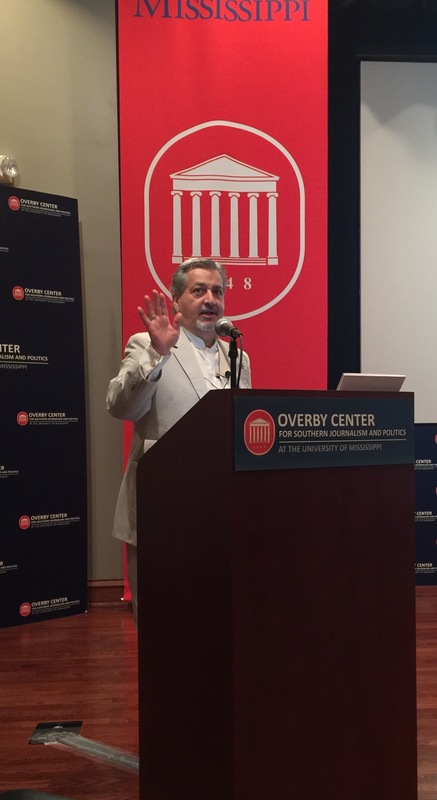 Dr. Samir Husni, the MIC’s founder, kicks off the program by sharing a question that he asked his nine-year-old grandson: which do you like better—the iPad or books? And the response from the child: why do I have to choose? Daniel Dejan, the North American Print and Creative Manager.for Sappi, leads off with a deep dive into a fascinating topic: the neuroscience of touch. Sappi, a multi billion dollar paper manufacturer, launched studies on this topic several years ago, when they noticed a disconnect between the perception of print as dead or dying and their own experience as a growing, thriving paper company. They asked the question: is content just content, or is the way that content is delivered also important in some way, physiologically or psychologically? And so they began their research on how people read and process information on different platforms: print, digital, and auditory. In the study, people were given content to consume, and various ways to consume it. And they were measured: their bran scans, their subjective responses, their engagement and their recall. What they learned was remarkable. A key finding was that with the experience of ink on paper, four of the five senses were stimulated: sight, touch, and, as nuances, smell and sound. People hear the sound of the rustle of paper in ways hard to duplicate digitally; on an olfactory level they know the difference between the smell of newsprint, books, glossy magazines. The experience of reading through each additional sense adds to the level of reader engagement. And, on a wholly practical level, the more the senses are thus stimulated, the more the sense of value goes up, along with the publication’s subsequent sales, with an increase of as much as 18%. Of course publishers work to create the best possible reading experience digitally as well, using contrast, fonts, color, and also sound, to try to duplicate the auditory experience of turning pages. But what they find, for the most part, is that digital only stimulates one sense, optical. Online remains 80% visual, 20% audio. As a result, the mnemic retention is much longer for ink on paper. Dejan then introduced the concept, introduced in the book Proust and the Squid, of bilateral literacy. It posits two very different ways of encountering and absorbing content. Readers of print tend to settle in, to absorb the content, to retain more of what they read. On a device, we are barraged with a tsunami of content; and the haptic nature of the device itself is monolithic; once it is familiar, it doesn’t change as the content changes. This makes the aspect of learning that has to do with mapping the information visually in the memory, and being able to recall the very page and position on the page where the information was encountered, very difficult. Because of the content overload, we’ve trained ourselves to become skimmers. The minute we pick up a device, we know we have to get through the quantity. Both ways of gaining information have their role, but from the publisher’s perspective it’s important to design for print differently from online. We know that the online reader is skimming, we want to create design to optimize that speedy experience through the use of bullet, lists, and call outs. Dejan spoke about the work of Dr. David Ealeman, co-author of Haptic Brain. Haptics is the science of touch, which is, in humans, more remarkable than we are probably aware. A human can detect, on an otherwise smooth surface, a bump 3/100ths of the width of a human hair; and while we do not lead the animal kingdom in our other senses, we are the top species in haptic sense. We use it hugely in non-verbal communication. It helps form our relationships with people. More than half of the brain is devoted to processing the sensory experience, and much of that sensory receptivity focuses on touch. Ealeman speaks of the Endowment Effect and its relation to the sense of touch. The Endowment Effect has to do with one of the core emotions of humans: desire. Desire’s twin is valuation; we perceive something as having value and hence we desire it. The Endowment Effect is at the core of all marketing and advertising; the goal of such promotion is the ability to create a sense of value and thus trigger desire. Ownership, or endowment, is a big part of valuation and desire. If I own something, I see it as valuable; more valuable than if you own it. Essentially, things are more valuable if they already belong to us. If you are walking through a store and someone puts something into your hand, it triggers the Endowment Effect. Even just imagining owning something can trigger it, so much of advertising has to do with triggering that mental image. When you own something, you hate to give it up. And this is what links us back to our haptic brain. Haptic has to do with the sense of touch, and the sense of touch triggers that sense of ownership. This sense can be triggered by holding and shopping on a tablet in a store; it is also triggered by magazine and catalog advertising. When catalog retailers found that so many of their sales took place online, they began to cut back on printing and shipping their catalogs and the results were remarkable; taking out the catalog caused online sales to drop precipitously. Many people, it turns out, start with the catalog then go online to buy. Paper catalogs can drive sales because having the catalog can trigger ownership imagery, wherein touching the catalog becomes a surrogate for touching the object itself. As the driving force of integrated marketing, technology has brought access to on-demand and real time. Large companies are able to play to this: you want faster and more, we can do this through tech. In a culture that expects and demands immediate gratification, 70% of online orders derive from the physical. So the paper stimulates the Endowment Effect, causing the desire, and the online is able to satisfy the desire by delivering its fulfillment quickly. The stimulus comes from the paper, the action from online. Magazines can take advantage of this dynamic through their e-commerce storefronts to deliver on desire stimulated by the physical publication. “Over 100 published studies show people prefer reading on paper,” Dejan told the group. “It is more intuitively navigable, so people enjoy it more and remember it better. Stress is higher when reading online. And the quality of the paper plays into it. A company using higher paper is viewed as more trustworthy, and people coming into contact with its product were more likely to recommend it as opposed to readers exposed to the product through thinner paper or online. A week after the original exposure to the company product, the companies originally encountered through a high quality paper still enjoyed, 3 to 1, a more favorable impression and were better recollected. The lower quality paper left people with more doubts about the company and the product. The physical nature of paper unconsciously influences our decisions. He wound up his presentation with Riepl’s Law, which summarizes: New further developed types of media never replace the existing modes…a convergence takes place leading to a different way and field of use for older forms. According to Riepl, then, newer media will not replace older media, but instead take its place alongside existing media and help create changes in the media experience itself. A new law? Not really. Riepl created this one in 1913. John French, co-founder of French LLC, may be the man you need when you are in really deep trouble. He’s the turnaround guy. If you’ve got a troubled business, he will come and possibly save the day. 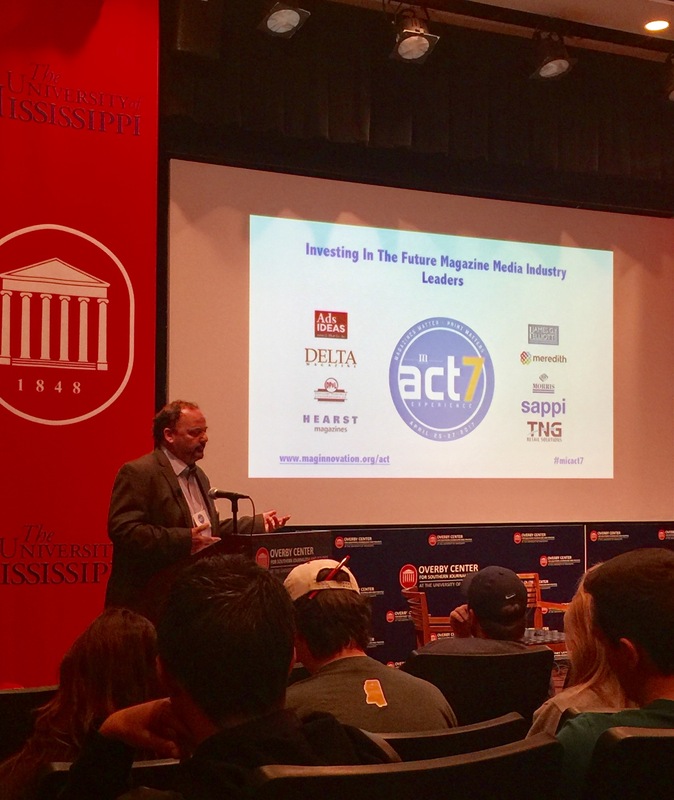 At ACT 7, held at the Meek School of Journalism on the campus of the University of Mississippi, French shared some tips for publishers who find themselves in that situation. The best way to create value for your publication, French advised, is to raise the top line: add revenue to the company. “The magic of a media company is to be the one who creates revenue,” French told the audience. “If you are a leader and not adding value—you have no value.” The reasons to create value are here to improve operating margins and to build your strategy for exit. And whether or not you are looking to exit, it is never too early to identify potential buyers—even in the business plan of a potential launch. Look at your management team and split them in two columns. Column one are the people who add real value to company. Column two is the people who, well, don’t. Get rid of the ones in column two. Do it with kindness, treat them with dignity, give them great severance. But do it. Then find your buried talent. There are people in there who are smart and visionary. Often in troubled companies the management team will push these people down. When you take out the people who are not doing a great job, the ones who might, begin to emerge. It might be they are proactive people in a reactive culture; it might be that they are women in a male-dominated culture. Find them nourish them, help them advance. Question everything. Always ask: why do we do that? And never accept the response: because we have always done that. Put together a “skunkworks: groups drawn from all levels of the company to propose new ideas, new products. Put out a call for volunteers. You’ll find that the groups will be self-qualifying: people who want to be part of something new. Their failure rate will be high, but they will have great hits as well. Be bold to launch, and just as bold to shut down and move on. Don’t hold on to the losers. Be a leader in all things digital and data. This means you personally: don’t use delegation to fake it. There are moments in sports, business, and life known as “golden eras.” This, French said, is the golden era of data monetization. Who is receiving your product, who is managing your data, how much do you know, what can you predict? It’s the moment of data, and it’s rich and exciting, offering a transition as big, significant, and game-changing as the change from print to digital. But you need to own it, know it, lead it. Don’t ask people to do anything you wouldn’t do yourself. Learn. Hydrate your mind. Never give up. Set the vision, and stay the course. You may fail. But don’t decide to do that. Make up your mind, and keep going untill you get there. Eight years ago, when Dr. Samir Husni started the Magazine Innovation Center, everyone thought he’d gone crazy. With print media seemingly withering on the vine and digital moving in to devour its sad remains, print appeared to be the last candidate for innovation. Yet 2017 is the year of the magazine. While the most successful magazines exist cross-platform, print remains a living, breathing, and in fact indispensable part of that mix. 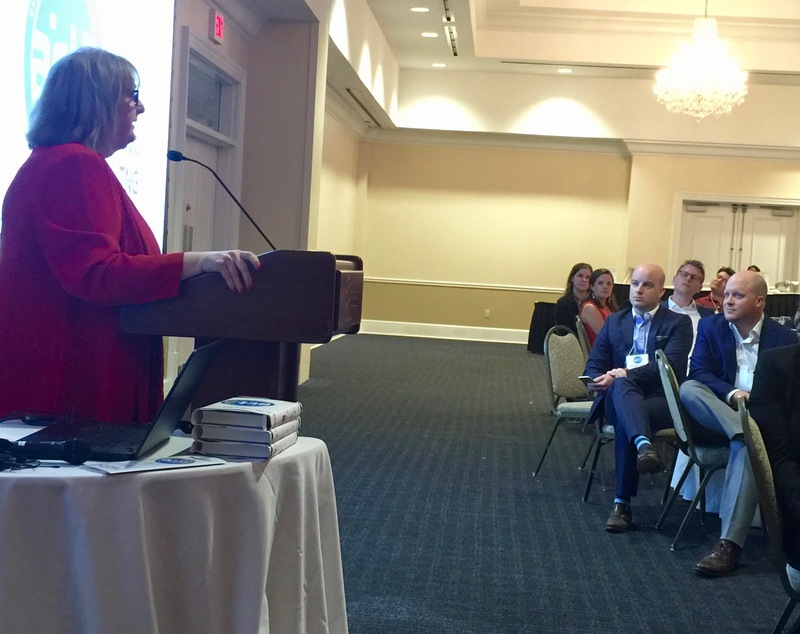 Susan Russ, Senior Vice President, Communications, MPA: The Association of Magazine Media, spoke at the ACT 7 opening dinner about why print has retained its primacy in an increasingly digital world. The magazine ecosystem, Russ said, puts the consumer in the center, and includes all the ways in which magazine brands reach their audience: desktop/laptop, mobile, social, events, and print. In the United States, 91% of all adults read magazines and, contrary to popular perception, the percentage grows in the direction of youth, with 94% of adults under the age of 25 reading magazines. And research has indicated that, for reaching that audience in an effective way, the print part of that ecosystem is the most powerful. Neuroscientific studies show that paper-based reading results in higher comprehension and recall; it is more powerful in stimulating emotions and desires; its readers give it a more focused attention with less distraction, and the tactile experience of paper contributes to its impact on readers. While connecting to the brand’s ecosystem through various channels is important, print stimulates different parts of the brain. Magazines are consumed across platforms, and its the entire ecosystem that contributes to their power and success. 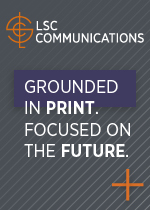 But print remains a key component—and it’s a component that other media companies don’t have. 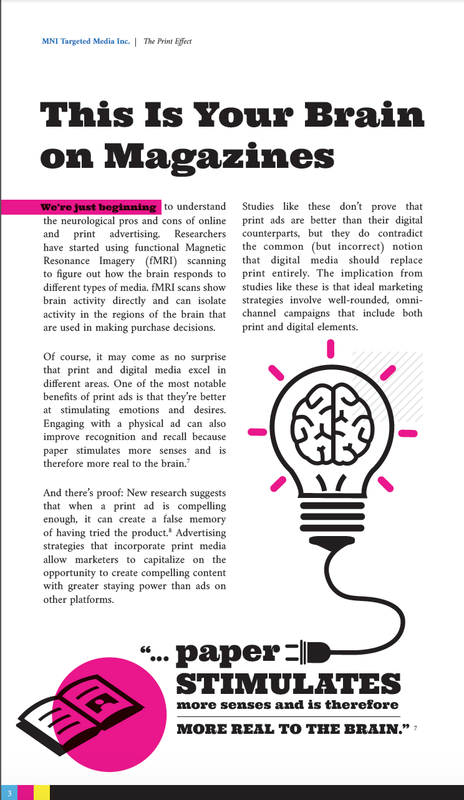 The Print Effect: A New Study Conducted By MNI Targeted Media, A Time Inc. Company, Uses Consumer Behavior & Neuromarketing Principles To Prove Magazines Deliver When It Comes To Successful Advertising. What follows is The Mr. Magazine™ Interview with the author of the report Marisa Davis. MNI Targeted Media, a Time Inc. company, has been creating marketing experiences for over 50 years. From media planning to buying entities, to providing both online and targeted magazine solutions to reach their clients’ audiences, MNI states that its’ attitude is simple, if there’s anything they can do to help their clients succeed, they do it. 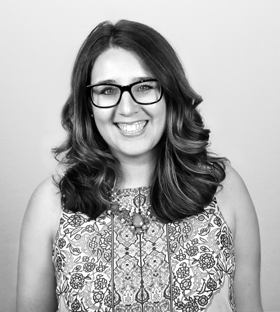 Marisa Davis is associate director, product marketing, for MNI. In a recent study the company conducted called “The Print Effect,” they focused on how consumer behavior and neuromarketing principles prove that magazines deliver when it comes to advertising success. This is a bold and very important research study that blows the phrase “print is dead” completely out of the water. I spoke to Marisa recently and we talked about why magazine advertising really works and why even millennials read magazines, regardless of what the naysayers may cry. Physical magazines engage and connect with readers of all ages, involving more of the human senses than any other media. And of course, this is something that Mr. Magazine™ agrees with wholeheartedly. The study showed that 70 percent of consumers are more likely to remember a company from a print ad than a digital ad, and that is only one of many eye-opening statistics. From that coveted “me-time,” to simply relaxing and falling into the welcoming arms of print, ink on paper has never gone out of style or been incapable of captivating an audience, not before digital, during digital, nor will it long after digital has morphed into the next big thing. So, read and enjoy this wonderfully inspiring, very important conversation with Marisa Davis, associate director, product marketing, MNI, as she reveals to us the proof behind the power of print and print advertising. On what the “Print Effect” study is about and what it highlights: What we really wanted to focus on was some unbiased research from sources that prove that magazine advertising works, and weren’t sources that were specifically from the publisher or the MPA (The Association of Magazine Media). On why it took the industry, as a whole, so many years to recognize that magazines do work: In my opinion, prior to 1994 there was never a question whether magazines worked or not. When digital entered the scene, I think as an industry, we really lost our focus on traditional media, and people have been so centered on digital because of the perception that it’s very measurable and trackable. And when digital worked well for them, they shifted their dollars away from magazine media towards digital media and other new media. On the finding that the human brain is happier with magazines than digital: When you’re reading digitally, we obviously can’t deny that it’s the most-used medium, but when you read digitally your brain is really task-oriented, so you’re going on your device to look something up that’s specific. You probably have a mission; you may be searching for a specific keyword. Your brain is happier when you’re reading on magazines, because it’s almost doing the exact opposite. It’s engaging with magazines the way we learn to read, left to right, bottom to top. On whether a happier brain is why the study showed people remember an ad or an article in a magazine much more than they do when they read it digitally: Yes, we do think that. The retention is higher; the ad-recall is higher, because of that focused attention and the fact that people learned to read on paper, so they’re spending more time with it. And they’re spending more time, in general, with the ad on the other side of the page. With digital, their attention is really fragmented and that will lower your recall. On whether she thinks focusing on the consumer and the audience should be today’s strategy when moving forward, rather than focusing on the platform: It’s important to focus on the consumer and the audience, and I think that both traditional and new media do this well. But something that’s really unique about magazines is that the consumer is really the center of the magazine brand. No one knows the consumer better than the magazine brand does. And that’s largely because when a consumer seeks to have a relationship with a magazine brand, they are opting into that relationship. 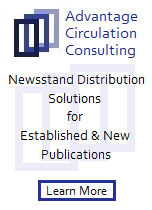 They give the magazine their name, address, phone number and credit card information. So, the consumer is central to the brand and that’s different than any other medium. On the study’s findings about different types of advertising: Obviously, national magazine advertising is what we’re most familiar with. And that’s advertising that’s inside of the national magazines, bought directly through the publisher. But that’s different than what we sell at MNI. At MNI we sell local advertising in national magazines, so what we’re able to do is deliver magazines down onto the DMA (Direct Marketing Association) level or lower. And we can put local ads or regional ads in them. On the research that found 95 percent of Americans under the age of 25 read magazines and whether that surprised her: I do think that people pick up magazines, but it did surprise me. That information came from the MPA and it is a little surprising, but I’m not shocked because if you look at the categories for where millennials are in their life stages, some are just entering the workforce, they’re interested in living healthy lifestyles, they’re perhaps getting married or buying a house. Or even older millennials are having their first child, and for all of those categories, if you pull the MRI numbers, magazines that fall into that category seriously over index for millennials. On what someone would find her doing if they showed up unexpectedly one evening at her home: Well, there’s definitely a cocktail involved, I can tell you that. (Laughs) But generally after work, I’m tethered to my phone, like most people. So after work I’m still checking my email; I’m on my phone. I’m toggling between the TV being on, cooking, maybe listening to music; a little Spotify streaming through my phone. But after dinner, I really do try and make a conscious effort to power down, so we have a rule in our house that we don’t allow digital devices in the bedroom. On what keeps her up at night: (Laughs) Everything. I guess something that I find myself thinking about is I’m on the road a lot with this presentation, and especially when I’m on the road, I’m thinking about how well it will be received by people and finding that, in general, millennials are very receptive to this presentation because they exhibit the same behaviors that I do and the same attitudes and feelings personally towards their mobile and digital devices. And perhaps experience a bit of cognitive dissidence, because we work in the media industry. And now the lightly edited transcript of the Mr. Magazine™ interview with Marisa Davis, associate director, product marketing, MNI. Samir Husni: You authored a study titled “The Print Effect.” Could you tell me about this study and what it highlights? Marisa Davis: What we really wanted to focus on was some unbiased research from sources that prove that magazine advertising works, and weren’t sources that were specifically from the publisher or the MPA (The Association of Magazine Media). When we started our research, what we found was that many of the studies that were done for direct mail, for example the Millward Brown Studies, were studies that were measuring the learning outcomes of children to determine if paper-based or digital-based reading was appropriate for their continued education and success. It ended up being research that also proved why magazines really work and deliver. And as we started to collect this information, we actually met with the MPA and found out that they had collected something similar. So, that was validation that we were really on the right track, when it came to proving why magazines really deliver, specifically with neuromarketing and consumer behavior principles. Samir Husni: Why do you think it took the industry, as a whole, almost five or six years to recognize that magazines do work? Marisa Davis: In my opinion, prior to 1994 there was never a question whether magazines worked or not. When digital entered the scene, I think as an industry, we really lost our focus on traditional media, and people have been so centered on digital because of the perception that it’s very measurable and trackable. And when digital worked well for them, they shifted their dollars away from magazine media towards digital media or other new media. And now, the pendulum is swinging back a little bit as people are reminded of the traditional consumer behavior principles; people want to be relaxed, leaned back and inspired. And digital media is not great when it comes to that and print media is. So, I think that as an industry, we’re now ready to have this conversation again. Samir Husni: Your study is one of at least three that I’ve seen where you’re dealing with the neuroscience of the brain and how it reacts. You mention in the report that, simply put, the brain is happier with magazines. Can you expand a little on that? Marisa Davis: When you’re reading digitally, we obviously can’t deny that it’s the most-used medium, but when you read digitally your brain is really task-oriented, so you’re going on your device to look something up that’s specific. You probably have a mission; you may be searching for a specific keyword. Your brain is happier when you’re reading on magazines, because it’s almost doing the exact opposite. It’s engaging with magazines the way we learn to read, left to right, bottom to top. You’re reading for actual comprehension and you’re happy to be reading it and engaged with the medium. It’s that coveted “me-time” that we know advertisers are hoping to intersect at with consumers. It’s also a relaxing medium. And because of that your brain is more engaged when you’re reading on paper. You’re relaxed; you’re more receptive to the advertising, but because you’re physically holding it, you’re also engaging multiple senses. You’re flipping the pages with your hands and it’s also easier for your brain to process. Digitally, your attention is less-focused, or fragmented. For example, things will be going on within the page, whether you’re clicking there or not, there will be an ad or content taking you away from the core material and that tires your brain, because it’s having to make the decision to either click there or not, where magazines, again, are an inspirational and aspirational medium and you can solely focus on the content. And it’s pretty much the only medium that you can engage with, and it’s only that medium at that time, such as when I watch TV, I’m on my phone at the same time too. And your brain doesn’t like that. Samir Husni: Do you think that’s the reason that your study found that consumers will more likely remember an ad or an article in a magazine, rather than on their digital devices? Marisa Davis: Yes, we do think that. The retention is higher; the ad-recall is higher, because of that focused attention and the fact that people learned to read on paper, so they’re spending more time with it. And they’re spending more time, in general, with the ad on the other side of the page. With digital, their attention is really fragmented and that will lower your recall. Samir Husni: What surprised you most from this study? What was something that you didn’t expect? But the other big wow that was a bit separate from the consumer behavior and neuromarketing principles was, as researchers or people in the media industry, for every argument that we found for something, there was always an argument against it. And I was presenting some of this research a few months ago in Miami and someone challenged me in their presentation that they could go onto the IAB (Interactive Advertising Bureau) website and prove that everything I said had a counterargument. And that exact day, the IAB cross-effectiveness media study came out. And this is a big deal, because the IAB is really dedicated to the proliferation and the regulation around digital media, and they couldn’t deny that magazines, hands-down, positively influenced campaign metrics. And what really resonated with me, and all the research facts that we know about the brain and why this makes sense, is U.S. net users trust magazines the most when making purchase decisions. So, 82 percent of U.S. internet users trust magazines when making a purchase decision and comparatively only 39 percent trust something like an online banner ad or a mobile banner ad. And that really resonated with me, as someone who has no agenda to sell print media. It can’t be denied that print media is a vital part of the media mix. 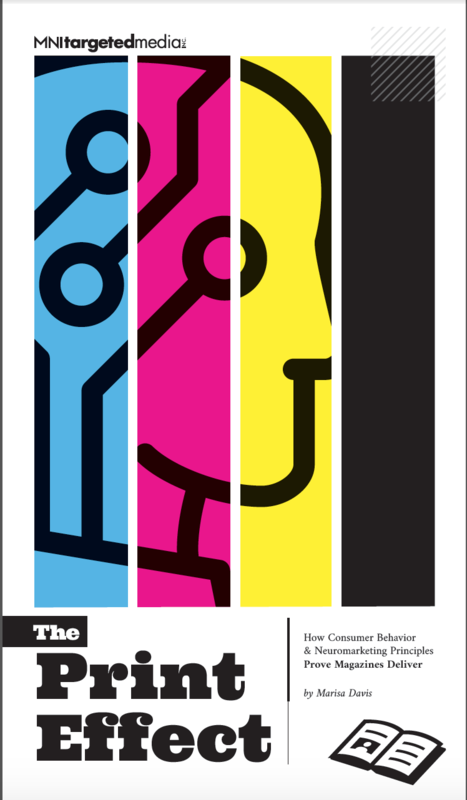 Samir Husni: In the introduction to the study, Alan Murray, the chief content officer of Time Inc., wrote that, while we live in a digital-first culture, there’s no question that the combination of digital and print is important. It’s no longer either/or. Do you think that focusing more on the consumer and the audience is the best strategy moving forward, rather than focusing on the platform? Marisa Davis: It’s important to focus on the consumer and the audience, and I think that both traditional and new media do this well. But something that’s really unique about magazines is that the consumer is really the center of the magazine brand. No one knows the consumer better than the magazine brand does. And that’s largely because when a consumer seeks to have a relationship with a magazine brand, they are opting into that relationship. They give the magazine their name, address, phone number and credit card information. So, the consumer is central to the brand and that’s different than any other medium. You don’t specifically subscribe to a website, in fact, people pay for ad-free models online. But with magazines, consumers are right at the center. And that will help them as the industry continues to grow and change. Samir Husni: In your study you also dissected the type of advertising, whether it’s the national magazine advertising, the regional magazine advertising, or the cover wrap advertising; in the study you showed that the cover wrap was the most impactful. Can you explain how your study broke down those three categories, in terms of importance? 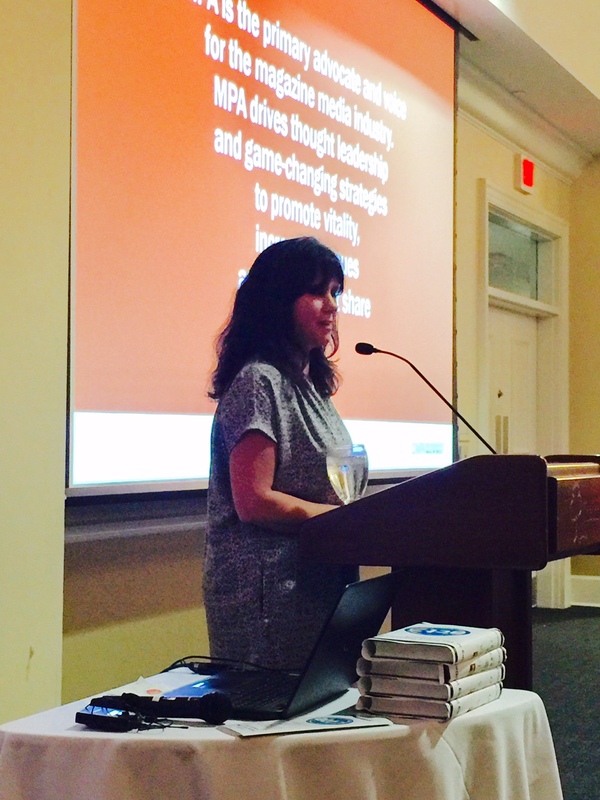 Marisa Davis: Obviously, national magazine advertising is what we’re most familiar with. And that’s advertising that’s inside of the national magazines, bought directly through the publisher. But that’s different than what we sell at MNI. At MNI we sell local advertising in national magazines, so what we’re able to do is deliver magazines down onto the DMA (Direct Marketing Association) level or lower. And we can put local ads or regional ads in them. So, for example, a national brand can advertise with us, one like Coca-Cola, if they’re doing a product launch in just a few test markets. That’s a good way to be able to mirror their eventual national campaign. Advertisers in regional magazines use us too. If you’re an energy group or a bank and you’re only available in six states, advertising in the six states that you actually have coverage can be done through our magazine titles, and give the illusion that it’s a national ad-buy, making the brand appear a lot larger. Even local companies advertise with us, because again, it makes them seem as though they have a larger footprint and to have the prestige of a national magazine. And also the credibility of a national magazine, transferred onto that local advertiser, which helps them drive foot traffic. What we’ve found is that 70 percent of our readers say that they value local advertising in magazines, and that it resonates with them. We also offer local copy splitting. So for example, an airline advertiser that’s running a special promotion from Chicago to Miami, plus another one that’s running from Atlanta to Dallas; we would be able to change the copy by market, again, that boosts the recall of the ad that they’re seeing. That’s our local advertising, and we offer that in over 40 national titles, both from Time Inc. and Meredith, and the like. We also have cover wrap advertising. The conversation in the digital space is often about view ability, and magazine advertising is ,in general, 100 percent viewable, especially with the cover wrap, it’s the real estate that’s the most coveted. Our advertisers that run in the cover wrap space get the cover page, the inside cover, the inside back cover, and the back cover, so it’s four pages or more, depending on what the creative is. We allow them to tell a story and give them that really valuable real estate. We’re able to do a full slot of the cover image, so it fits a lot with native and content marketing initiatives when brands have a large story to tell. And we can send cover wraps to really niche individuals. I recently saw a cover wrap that went specifically to ingredient decision makers for nuts. And we were able to reach all of those people in the United States . So, it’s really a very targeted product that we have. Samir Husni: During your research, you also found out that some studies show that 95 percent of Americans under the age of 25 still read print magazines. Did that surprise you? Supposedly, digital natives do not read magazines. Marisa Davis: I do think that people pick up magazines, but it did surprise me. That information came from the MPA and it is a little surprising, but I’m not shocked because if you look at the categories for where millennials are in their life stages, some are just entering the workforce, they’re interested in living healthy lifestyles, they’re perhaps getting married or buying a house. Or even older millennials are having their first child, and for all of those categories, if you pull the MRI numbers, magazines that fall into that category seriously over index for millennials. When millennials are looking to unplug, and I think everyone wants an excuse to put down their phone, that relentless taskmaster that we’re constantly tethered to. And millennials are just like anyone else and they turn to magazines to stay informed. There was a study where they asked millennials, and all audiences, why they preferred to have robust reading experiences, those experiences where they really sit back and read for the content, and the study found that everyone, even digital natives, preferred to have those robust reading experiences on paper. Samir Husni: Is the study available if someone would like to read it? Is it on your website or downloadable? Marisa Davis: Yes, the white paper will be in the May 1 issue of Ad Age, and it’s also available for download from our website, so it’s available on mni.com. Samir Husni: If I showed up at your home unexpectedly one evening after work, what would I find you doing; are you on your phone; do you have a magazine in your hand, watching TV; having a glass of wine; or something else? Marisa Davis: Well, there’s definitely a cocktail involved, I can tell you that. (Laughs) But generally after work, I’m tethered to my phone, like most people. So after work I’m still checking my email; I’m on my phone. I’m toggling between the TV being on, cooking, maybe listening to music; a little Spotify streaming through my phone. But after dinner, I really do try and make a conscious effort to power down, so we have a rule in our house that we don’t allow digital devices in the bedroom. And I’ve found that it’s helped me sleep better by making sure that I’m not on my phone or my tablet an hour before I go to bed. And really taking the time to be mindful, whether it’s reading a book or a magazine. The other thing that we try to implement in my home, although it’s not always successful, is on Monday’s we try to do a media cleanse. This was actually inspired by some of this research, where I had read from a study that they brought CEO’s in for a five-day retreat and they asked them to put their phones down. So, for five days they didn’t have their phones and they found that they stood up straighter, they collaborated better, and they developed better relationships with each other than people who had their phones. So, every Monday night we try to put our phones away, turn the TV off and spend time together as a family. Marisa Davis: (Laughs) Everything. I guess something that I find myself thinking about is I’m on the road a lot with this presentation, and especially when I’m on the road, I’m thinking about how well it will be received by people and finding that, in general, millennials are very receptive to this presentation because they exhibit the same behaviors that I do and the same attitudes and feelings personally towards their mobile and digital devices. And perhaps experience a bit of cognitive dissidence, because we work in the media industry. And that’s something that I think about a lot; about how to speak to millennials about magazines, about buying magazines and about being part of a media campaign versus our own individual behaviors, as well as our aspirational behaviors. And again, that media cleanse, and how all of this is relating to the millennial audience. 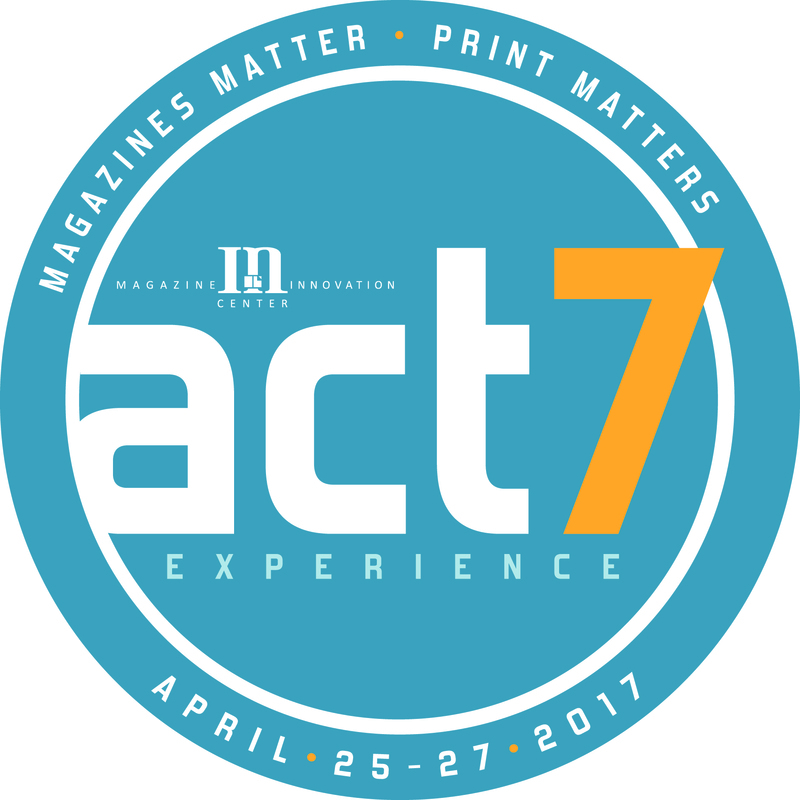 An Experience Like No Other: Future Industry Leaders Meet Current Industry Leaders At The Magazine Innovation Center April 25 to 27. You are currently browsing the Mr. Magazine blog archives for April, 2017.